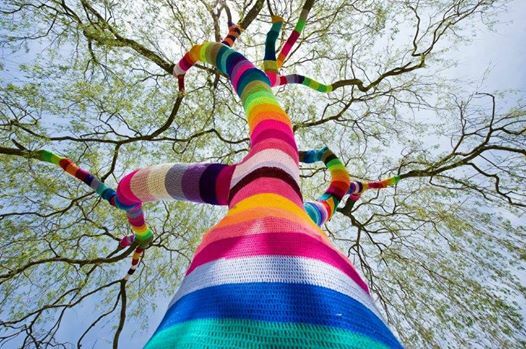 Ute Lennartz-Lembeck and her German “knitting graffiti” group B-Arbeiten adorn trees with custom-fit sweaters to encourage passers-bys to reconsider their everyday surroundings. This piece, Weeping Willow, was created in 2011 in Velbert, Germany. 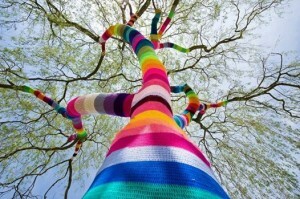 See more colorful and unexpected works on our Facebook page.